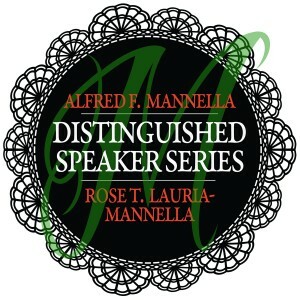 Falvey Memorial Library is proud to announce this year’s Alfred F. Mannella & Rose T. Lauria-Mannella Distinguished Speakers Series, featuring Joan L. Saverino, PhD. The event will take place on Wednesday, Nov. 16, 2011, at 7:00 p.m. in the library first floor lounge. Dr. Saverino, adjunct professor at Arcadia University in the Department of Sociology, Anthropology & Criminal Justice, will present a lecture entitled “Embroidery as Inscription in the Life of a Calabrian Immigrant Woman.” This talk explores the intersection of needlework, personal narrative, gender and artistic creativity in one woman’s extraordinary life in two out-of-the-way places—Calabria and Appalachia—over the course of nearly a century. A lively close reading of one Italian woman artist’s lived experience and self-representation through her artistic repertoire provides the perfect context to discuss change over time in the social and economic lives of Italian women and the communities in which they lived on both sides of the Atlantic. The talk raises larger concerns surrounding issues of women’s role in the (re)production of culture, expands recent research on Italian and Italian immigrant women, and touches on the role of dialogue and reflexivity in the ethnographic process. 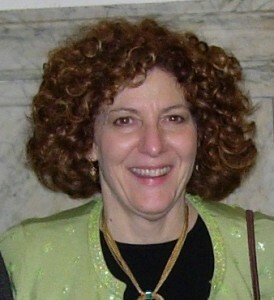 Dr. Saverino is developing her work into a book-length manuscript. This event is sponsored by Falvey Memorial Library and is made possible by the generous support of Villanova University alumnus Alfred S. Mannella. This lecture is free and open to the public. Light refreshments will be served. The generosity of Villanova University alumnus Alfred S. Mannella has made it possible for Falvey Memorial Library to sponsor a series of annual events, focusing on scholarship about Italian-American history, culture, and the immigrant experience. The endowed lecture series is named for his parents, Alfred F. and Rose T. Lauria-Mannella. Thank you for the opportunity. The audience was very gracious. Thanks especially to those who came up afterward to share their own memories and experiences with me.